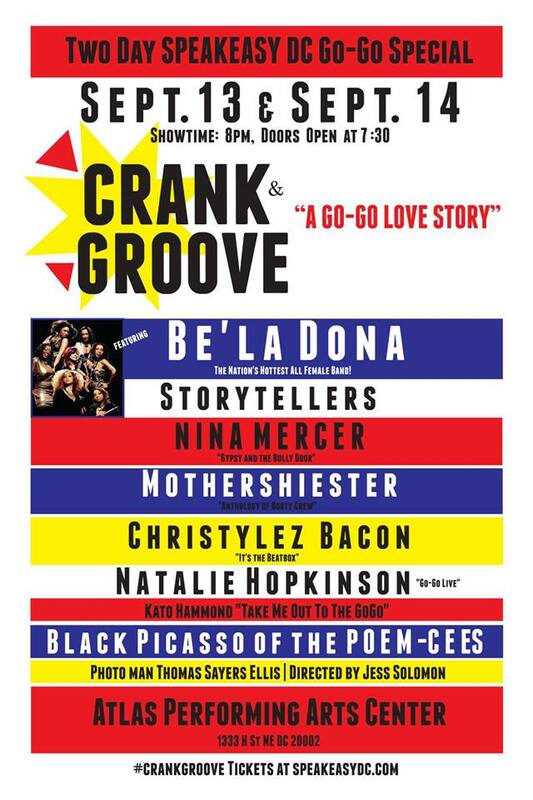 Storytellers, musicians and dancers take us on a rhythmic journey with true tales of go-go’s past and present. Bring your cowbell and your dancing shoes, and get ready to crank and groove to go-go’s distinct blend of funk, rhythm & blues, hip-hop, and live percussion. Featuring some of the DC’s finest “go-go griots” and artists. 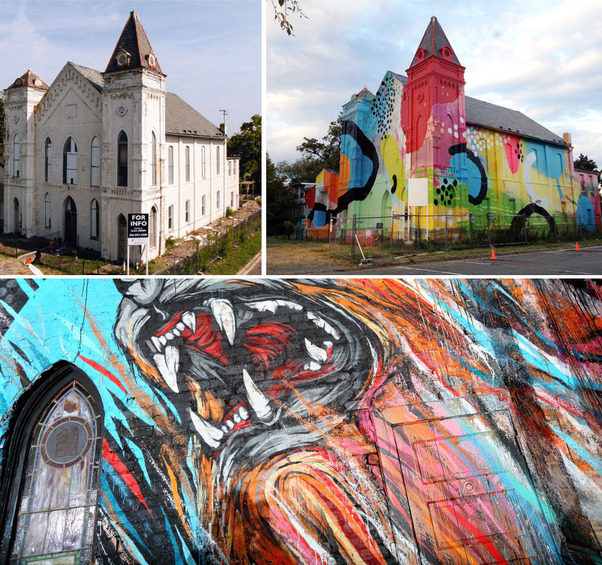 Art Whino returns in 2013 for the fourth edition of the G40 Art Summit. This year Art Whino will be teaming up with Suite Nation to present a month-long, multi- experiential Art Summit with musical performances throughout the month. This year’s theme is the “Art of transformation” and the exploration of reclaimed spaces and objects. Come to Anacostia Arts Center for an open house to celebrate new center residents: Community Wellness Collective, Nubian Hueman, and Vintage & Charmed. Vintage and Charmed, a classic clothing boutique, will be open for the first time in Anacostia with well-chosen fashion and unique accessories. Starting at 5 pm, Nubian Hueman will open its doors to share its blend of ethnic fashion, art and accessories. Previously just an online retailer…it now has its first physical home right here in Ward 8. The day also includes performances in the arts center’s Lounge from Steel Pan Artist Lennard Jack, Jr. (11 – 2 pm), DJ One (2-5 pm), and Akua Allrich and her Jazz Band (5 pm – 8 pm). Annual Downtown Hyattsville Arts Festival features over 70 visual artists and artisans, musicians and dancers will gather and be featured along the neighborhood streets of Arts District Hyattsville – one of the D.C. area’s newest smart growth communities, showcasing the talented arts community in Hyattsville and the Gateway Arts District. 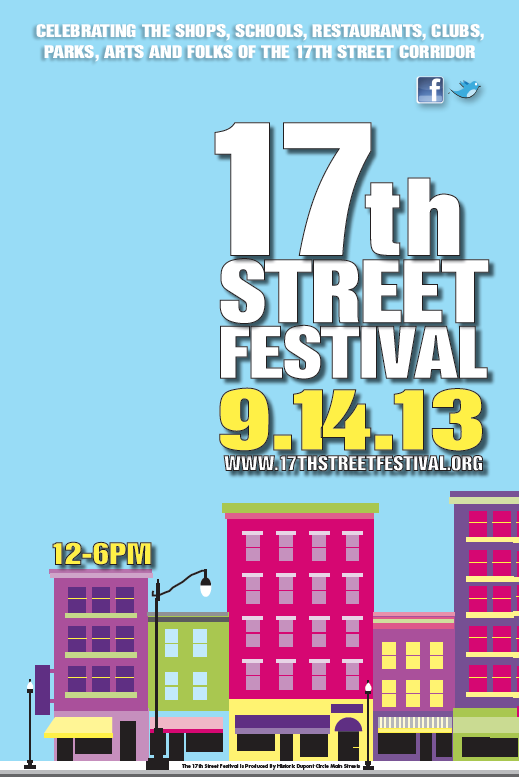 The Annual 17th Street Festival is a free community event that celebrates the 17th Street Corridor from Riggs Place to P Street. Festival Includes: art show, business specials sponsored by HDCMS, entertainment stage, kids zone (Ross Elementary School), local vendors, and pet zone sponsored by City Dogs Rescue. 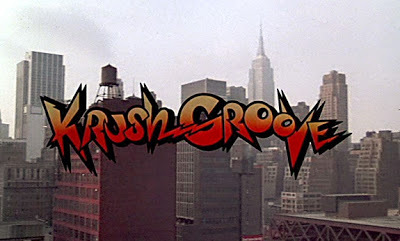 Check out the “fresh” double feature, Krush Groove and the 30th Anniversary of Wild Style at the AFI. DJ One Luv… will be revving up up the Time Machine. Since it is September we will be celebrating the Virgo Birthdays. Join family and friends for the 3rd Annual Ethiopian Festival to celebrate their heritage and home country. Enjoy Ethiopian music, art, fashion, Ethiopian cuisine and more! 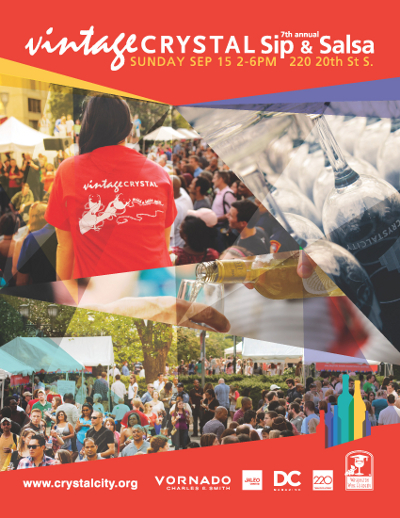 Sip and Salsa brings delicious wines from Spain, Portugal, and Argentina together with food tastes from restaurants in Crystal City and the region. 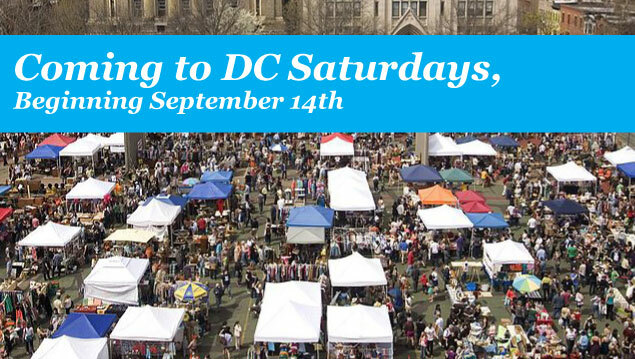 Live latin jazz, wine education from the Washington Wine Academy, and Salsa from Columbia Pike’s Salsa Room round out the action for an affordable afternoon outdoors. 20 bucks includes all wine and food tastes. 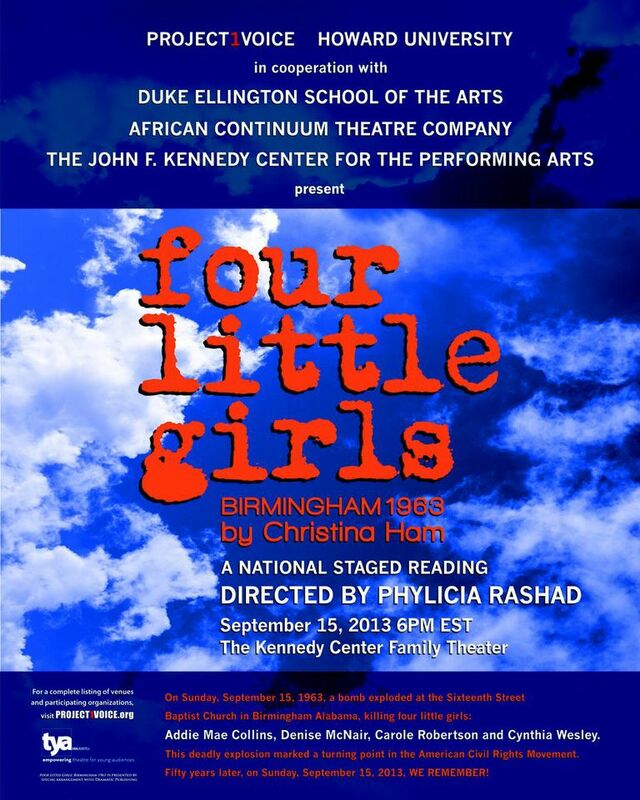 FOUR LITTLE GIRLS: Birmingham 1963–A Staged Reading commemorates the 50th anniversary of the bombing that took the lives of four young girls at the Sixteenth Street Baptist Church in Birmingham, Alabama in 1963. Written by Christina Ham and directed by Phylicia Rashad, the readings will feature multi-generational casts of national and local theater, television, and film actors. Free tickets will be distributed, two per person in line, beginning at 5 p.m. in the Hall of States. Tickets are reserved seating in the Family Theater.